Every year around November I look forward to the first box of Panettone to hit the shelves in my local grocery store, or Homegoods. This Italian treat lends itself to sweet or savory dishes. The tart candied citron and raisins are sweetened by the sugary bread. It’s buttery and makes great croutons, bread pudding, or slathered with warm brie cheese and orange marmalade for a yummy breakfast toast. I’ve also paired it with roasted Autumn root vegetables to make Italian panzanella (bread salad). I’ve even paired toasted panettone with figs, and seared foie gras (fattened goose liver) for an out of this world appetizer! For this dish, I’ve decided to use the panettone as a substitute for bread in a stuffing for quail. You can also use this stuffing for dove, duck or other game birds, with Cornish game hen or even as a casserole by adding a couple eggs and pouring it into a buttered casserole dish and baking it until puffed and golden brown. For a sauce to accompany this dish, I figured I’d play off the “perfumy” orange flavor of the candied citron to make a simple glaze from Grand Marnier liqueur and chicken stock. This recipe is a bit involved but it’s perfect for a special occasion like Thanksgiving or Christmas dinner. In keeping with all things Italian, I’ve also added some chestnuts and Italian sausage for that salty, fennel flavor. 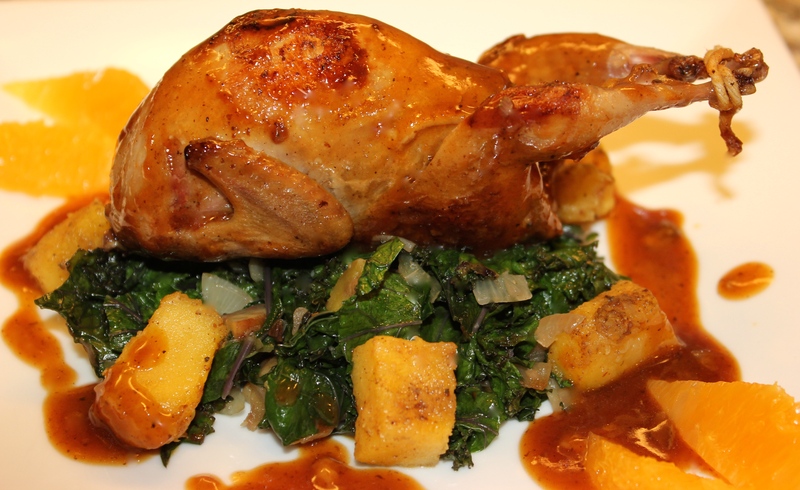 These birds are perfect for a first course, or a main course with the addition of side dishes. I could eat a dozen of these stuffed birds! 24 Hours Ahead: Start by rinsing, drying and seasoning the quail with a little kosher salt, then refrigerate overnight. Next Day: An hour ahead, remove the quail from the fridge and place on the counter to bring it to room temperature. 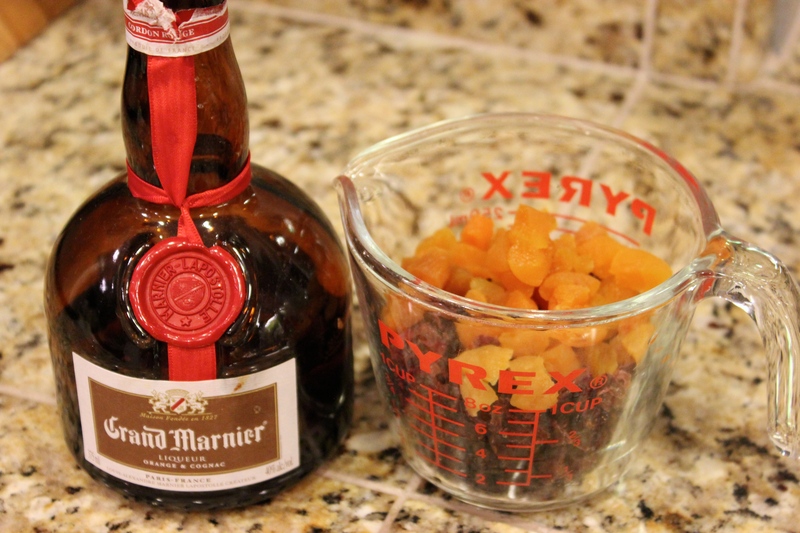 In a large measuring cup or bowl, add the dried fruits and pour enough Grand Marnier to reach the top of the fruits. Then microwave for 60 seconds for the warm liqueur to soften the fruit, and set aside. 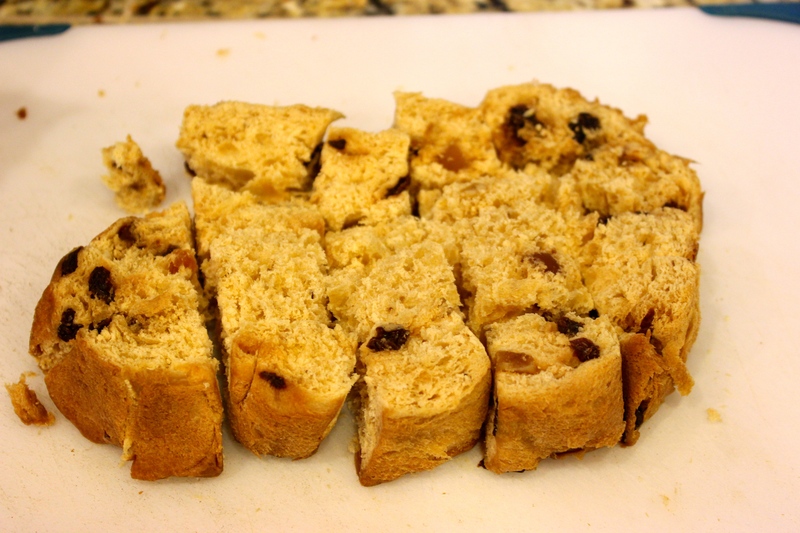 Cut the panettone into one inch cubes. In a measuring cup, add 1/2 stick of butter and minced sage and thyme leaves. Microwave to melt the butter, and set aside for the herbs to infuse into the butter, for 5 minutes. Pour the infused butter over the panettone cubes and stir, then place the baking sheet in the oven, and bake until the panettone croutons are browned, about 25 minutes. Then remove them and set aside. 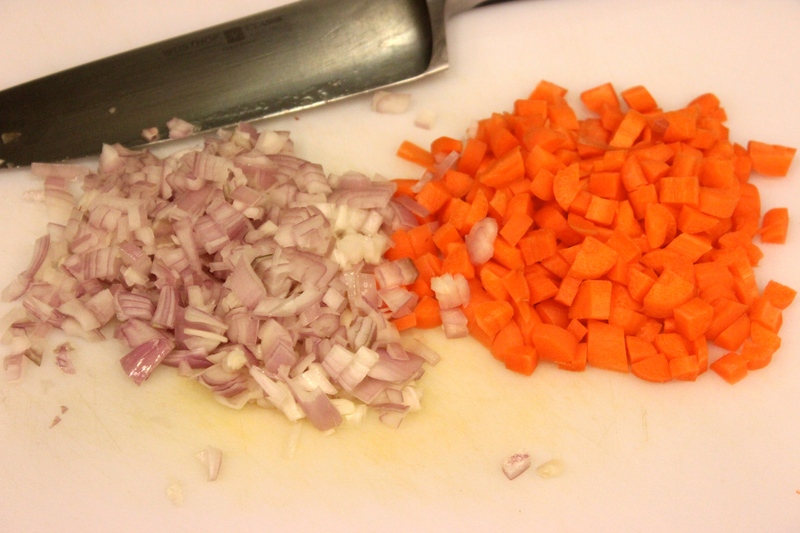 Mince the shallots, and carrots, set aside. Remove the casing from the sausage and crumble the sausage. Add a few tablespoons oil to a large sauté pan and fry the sausage and vegetables until the sausage is just cooked, about 4 minutes. 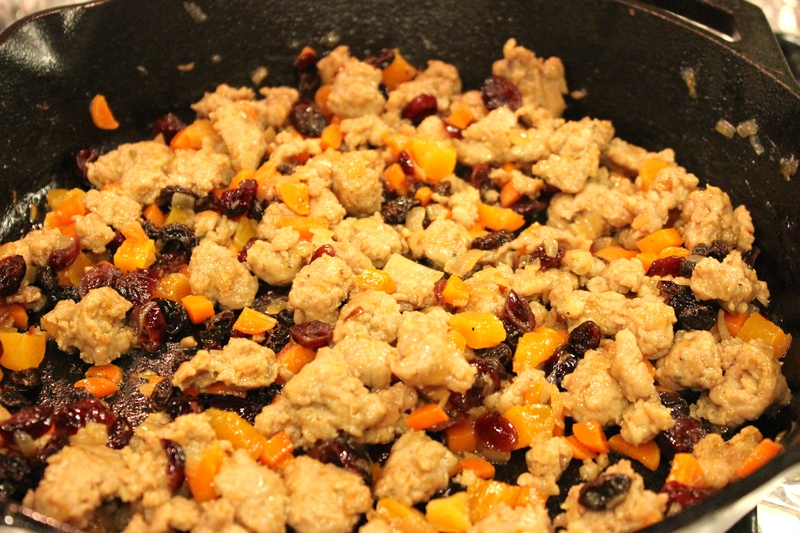 Strain out the dried fruits, **reserve the liqueur and add the fruit to the pan along with the sausage (add the chestnuts, if using), and fry two more minutes. 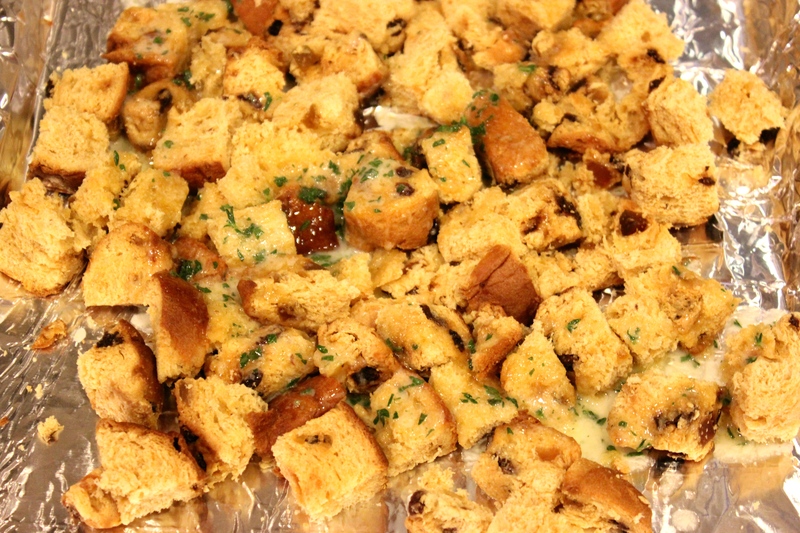 In a large bowl, add the panettone croutons, sausage mixture and 1/2 cup chicken stock mix together, and cool slightly. Season the quail inside, and outside with salt and pepper, and stuff each quail with a portion of stuffing. Then tie the legs with kitchen twine. In a cast iron pan, add a few tablespoons oil and sear the quail on all sides until lightly browned (about 3 minutes), and place directly in the oven to roast and additional 12-15 minutes. 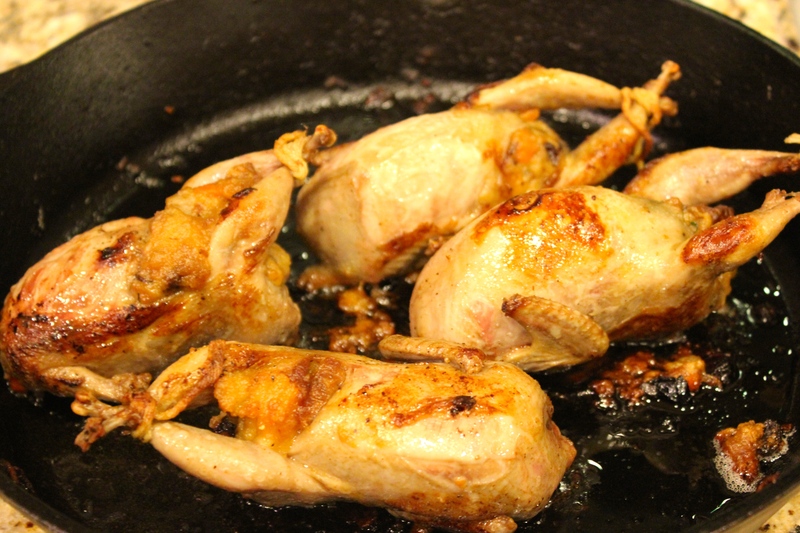 Once the quail have roasted, remove them to a cutting board and tent with foil while the sauce is finished. 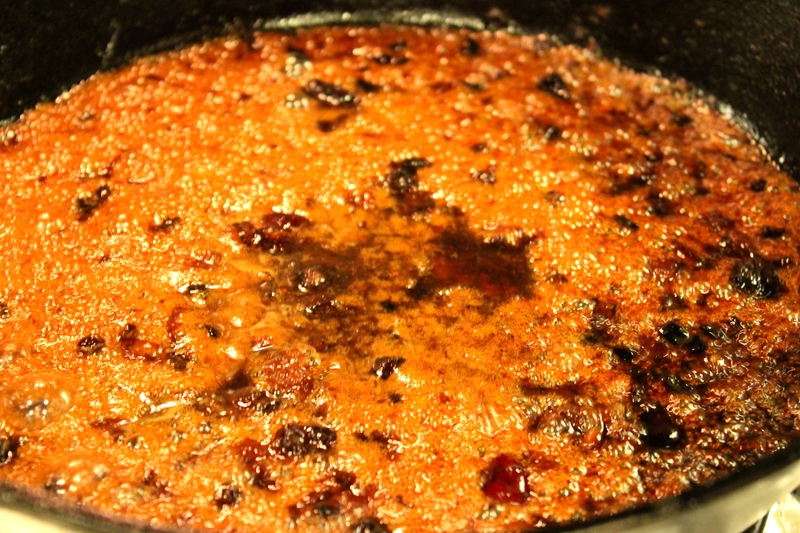 Place the pan on the stove and pour in the reserved Grand Marnier (!Caution, the liqueur can flare up!). Add the chicken stock and bring to a medium-high simmer. 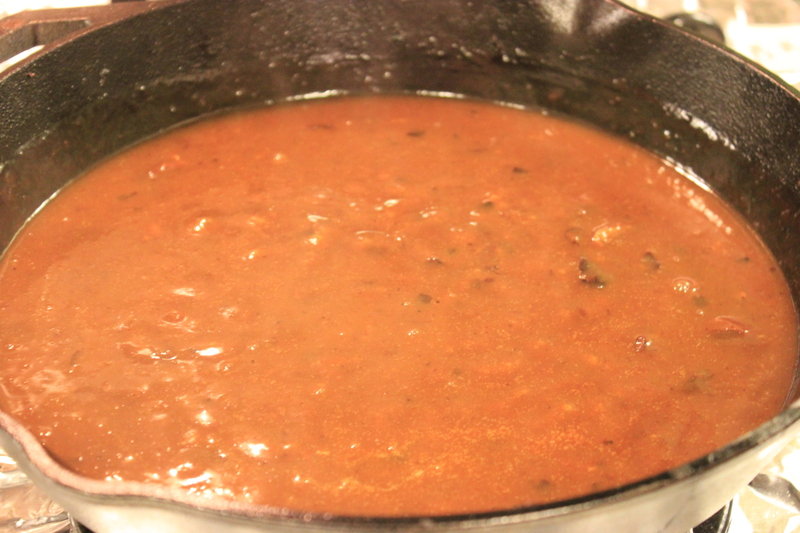 Make a paste with one tablespoon butter and one tablespoon cornstarch, and whisk into the stock to make a sauce. I went an extra step and used a small strainer over a measuring cup to strain the sauce, but you may omit this step, if you like. Serve the sauce over the quail and add orange segments if you like. 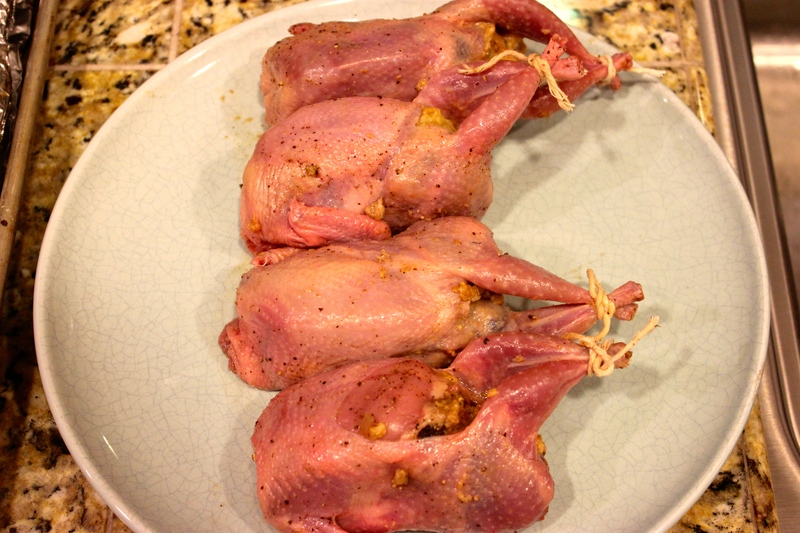 24 Hours ahead: Rinse quail, and pat dry and salt inside and outside with Kosher Salt, refrigerate overnight. Next Day: Remove the quail 1 hour ahead to bring to room temperature. 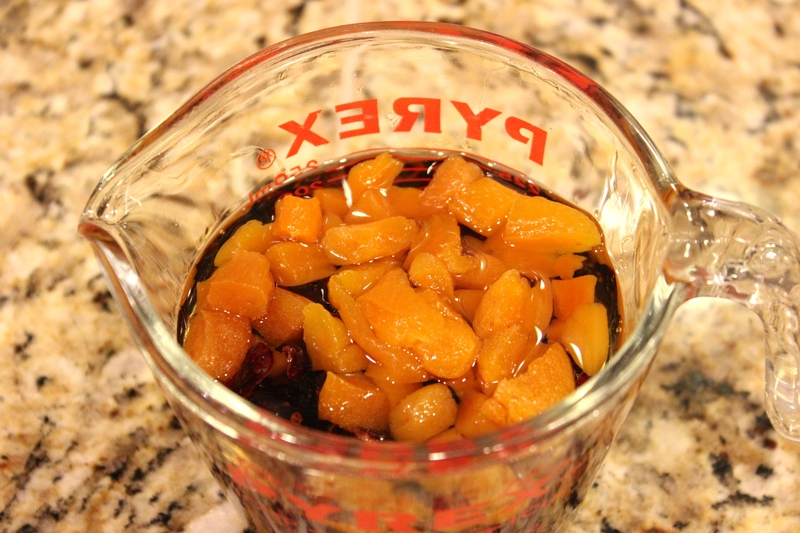 Place all dried fruits in a bowl or large cup and add enough Grand Marnier or other orange liqueur to reach the top of the fruits and microwave about 60 seconds to warm the liqueur and soften the dried fruits, and sit aside. Cut the panettone into 1 inch cubes and place on a foil lined baking sheet. Finely mince sage leaves and strip the leaves from the thyme. 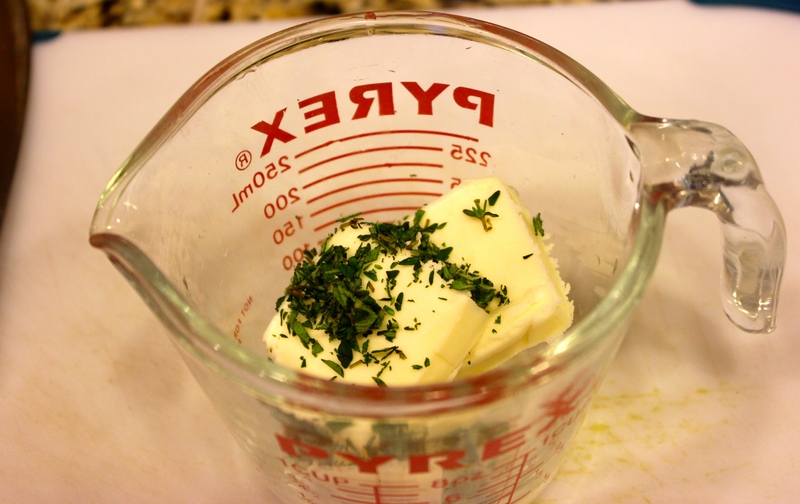 In a microwave safe cup, melt 1/2 stick of butter with the sage and thyme, and allow it to infuse for 5 minutes. 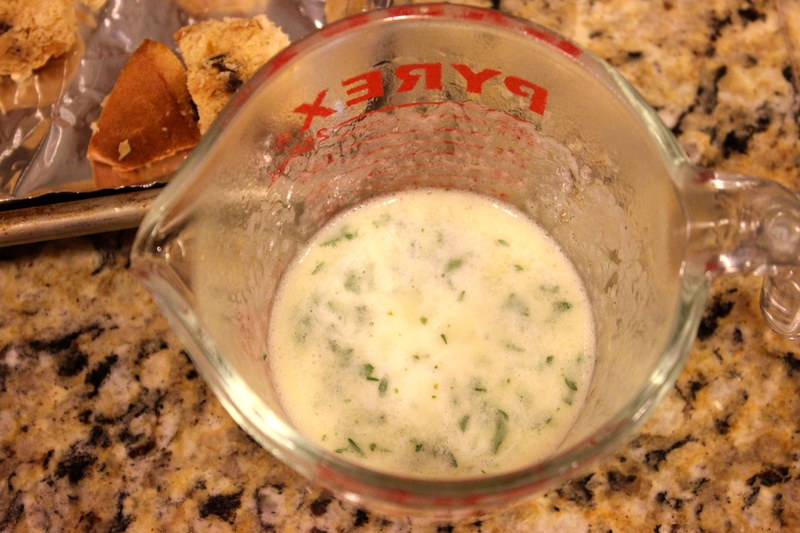 Pour sage butter over panettone and mix. 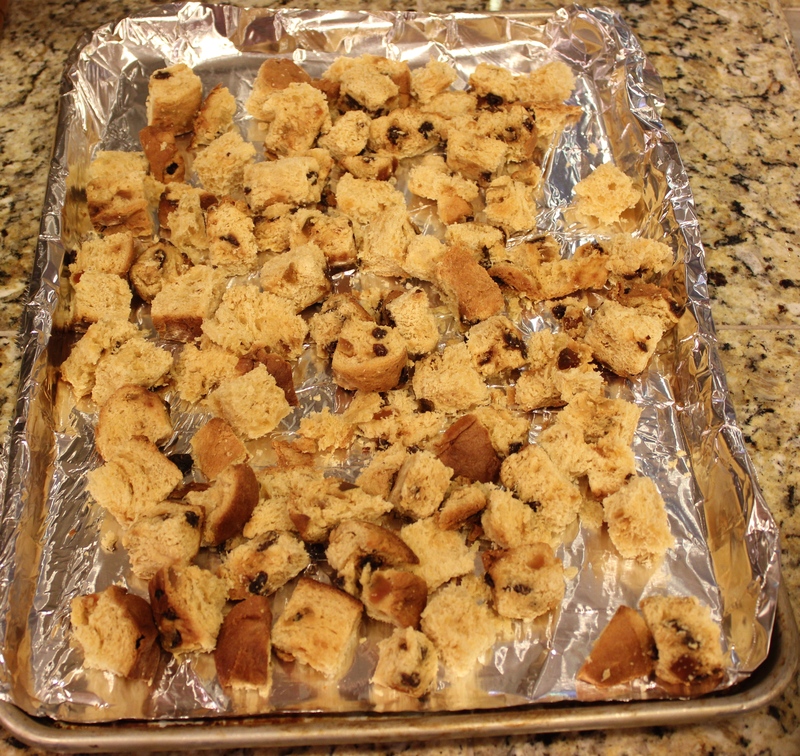 Place the panettone in the oven and bake until the croutons are browned (about 25 minutes). Finely mince the shallots and carrots. 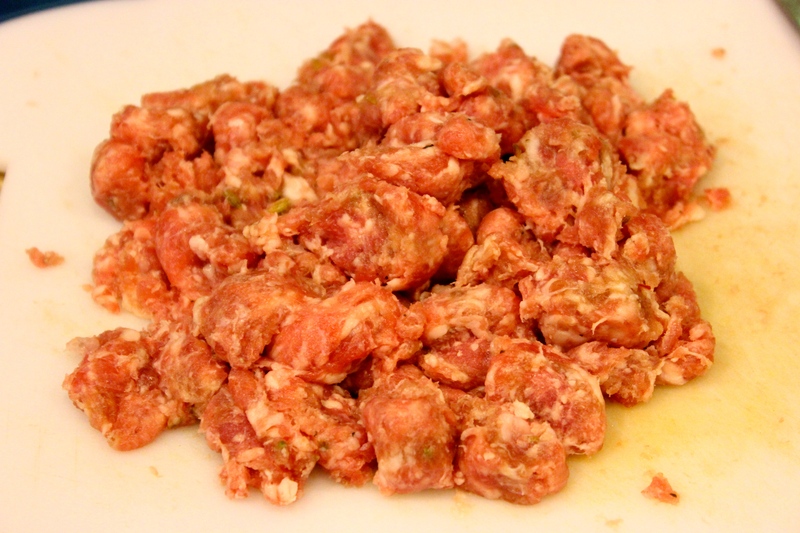 Remove the casing from the Italian sausage and crumble. Add the crumbled sausage, shallots and carrots to a large sauté pan with two tablespoons oil and and fry until the sausage is cooked (about 4 minutes). Then strain out the dried fruit (**reserve the liqueur**) and add it, along with the chestnuts (if using) to the sausage and cook for two more minutes. Then add the sausage, vegetables, chestnuts and dried fruits to the panettone croutons with a half cup chicken stock and mix then set aside to cool, slightly. Re-season the quail inside and outside with salt and pepper. Stuff each quail with a portion of stuffing. Tie the legs together with kitchen twine. Place the quail in the oven and roast an additional 12-15 minutes. Once the quail have roasted, place them on a cutting board and tent with foil to keep warm. Place the pan back on the stove and add the reserved orange liqueur to deglaze the pan (!Caution, alcohol can flare up!). Turn the burner to medium-high and add the chicken stock. Mix one tablespoon butter and one tablespoon cornstarch to make a paste and whisk into the chicken stock to thicken and make a sauce. Once it has thickened (I strained the sauce by placing a small strainer over a large measuring cup but you may omit this step), serve with quail (add orange segments, if desired).